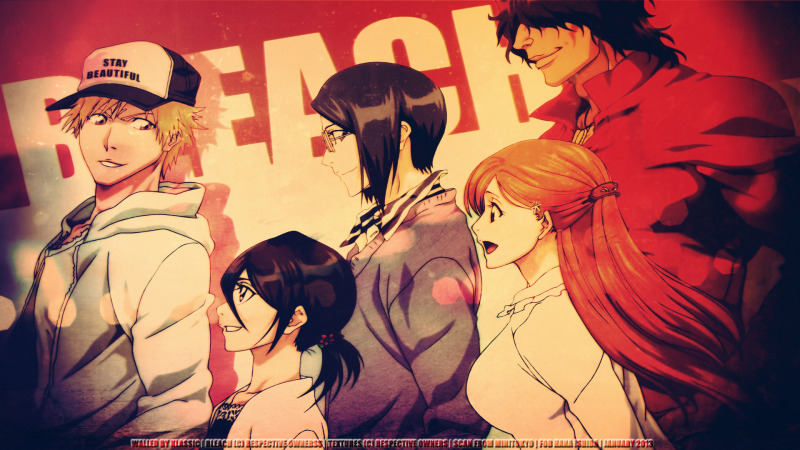 I decided to make a Bleach wallpaper for my friend Hana Ishida. I know she loves Bleach and she loves Uryu Ishida so I had to use a scan with him in it. This scan is just awesome. It was kind of hard figuring out what textures would work with it and enhance it. Because of this, I only used two textures. I didn't want to take away or overwhelm the wallpaper. I had fun creating this wallpaper. For most of the effects I resorted to using Photoshop actions. I used at least 2 or 3. I'm just really happy with how this wallpaper turned out. I may write a longer description later. Dedicated to Hana Ishida for being an awesome friend. I love you so much Ishi! Thank you for always being there for me. I hope you like the wallpaper. I hope everyone enjoys the wallpaper.